Fight for survival amid a nuclear wasteland. Emerge from the safety of Vault 111 and brave once more the war-scorched nuclear wastelands of North America. Discover a city on the brink of conflict as powerful factions fight for control and find yourself with an impossible decision: whose side are you on? Transport yourself back to the unique world of Fallout – to an uncompromising vision of mankind undone by its own hand. Explore a vast open world littered with struggling communities, powerful criminal warlords and ferocious mutated beasts. Forage for food, buy or construct devastating weapons and do whatever you can to stay alive. There are few friends in the wasteland, but for the right price anyone can be bought. Choose your allegiances carefully, keep a weapon close at hand and with a little luck, you may yet survive. Want to give a friend a tour of your settlements? Or hand over control so they can show you the way to the best Power Armour? Invite them into your game with Share Play - even if they don't own Fallout 4 themselves. 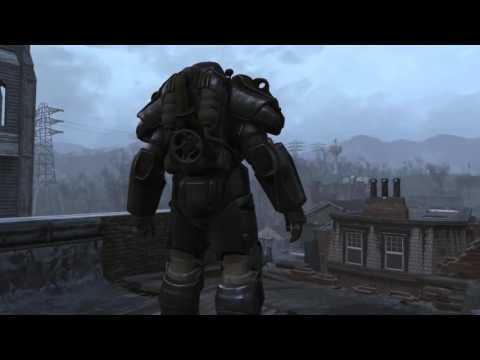 Buy Fallout 4 on PS4.